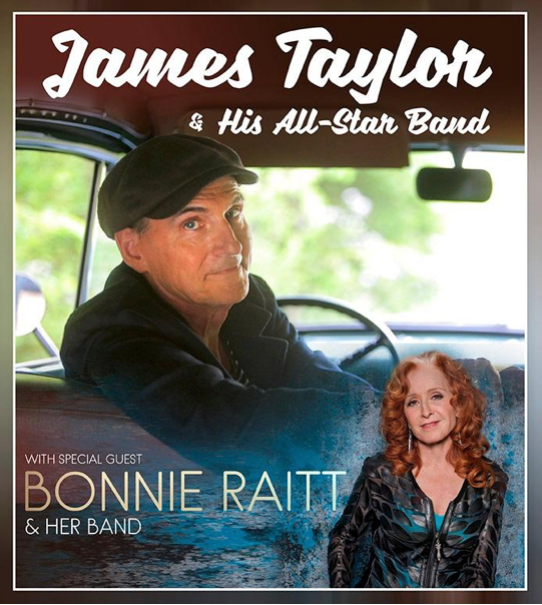 Come visit the Green Highway area at one of the concerts on this tour or check out the links below to get connected to organizations that are participating in the Green Highway on the James Taylor/Bonnie Raitt tour. * Due to a medical situation requiring surgery, Bonnie Raitt will not be performing at this concert date. In August and September of 2009, Green Highway was a part of the BonTaj Collective Action Fund activities on the Bonnie Raitt and Taj Mahal’s BonTaj Roulet tour. Local and national nonprofit organizations joined Green Highway at each of the 34 concerts on this tour and concert goers got involved in helping to distribute the funds raised on this tour by voting on what causes were important to them - Safe and Sustainable Energy, Environmental Protection, Social Justice and Human Rights and Blues/Music Education. To learn more, please visit http://www.bontaj.com. In 2007, the Beastie Boys worked with Green Highway to have a nonprofit presence at their concerts. In partnership with the ARIA Foundation, the tour collected and recycled used cellphones, had voter registration and nonprofit organizations at every concert, carbon offset the tour, coordinated BioDiesel in all the trucks and buses with REVERB, and created an Eco Fund where $1 of every ticket sold went to support organizations working to achieve environmental sustainability. Click here (or visit http://ariafoundation.org/beastieboys/) to learn about the tour, nonprofit organizations, the cellphone recycling program and more. On Bonnie's 2005 tour, all buses and trucks ran on biodiesel and 30 of the 39 shows were offset 100% by wind energy to make the tour as climate neutral as possible. At each of the theaters the "Green Highway" display along with environmental organizations and green partners that are making an impact to improve our collective future were present talking with concert goers about what they can do to make a difference and get involved in their communities efforts to supply clean and safe energy and protect our environment. In 2002, the Green Highway was launched on Bonnie Raitt’s concert tour with Lyle Lovett. The press release shares the information about the launch of this festival and the below brochure explains the on tour activities and shares the details of this eco touring festival. August 9, 2002 -- Nine-time Grammy winner and longtime environmental activist Bonnie Raitt is definitely giving them something to talk about this summer: she has just launched her first ever traveling environmental midway, Green Highway, sharing the message of clean energy and sustainable living along her summer concert tour with Lyle Lovett. This eco-village and accompanying website feature exhibits of products and organizations working in harmony with the environment, bringing us alternatives which are as good for the economy and jobs as they are for the quality of our lives in years to come. Green Mountain Energy Company, the nation’s largest retail provider of cleaner energy, will be supporting the generation of enough wind power for the 42 shows on the tour to make the tour’s electricity usage effectively neutral in its impact on global warming. The company will be supporting the generation of enough new wind power to cover the electricity usage for the tour, estimated to be approximately 500-megawatt hours based on other performances at the venues. Based on this estimate of electricity usage for the tour, it will offset the production of 327 tons of Carbon Dioxide (CO2), which avoids as much C02 as not driving a car 726,600 miles. "It's no accident that we're in danger of losing both our ecological and our economic well-being at the same time," explains Raitt, who created the Green Highway concept along with colleagues Kathy Kane and Harvey Wasserman. "I feel too many government and corporate policies are inseparably shortsighted and we've created Green Highway to demonstrate that working in harmony with nature can offer real solutions for preserving both our planet and our prosperity." Two important components of the Green Highway midway are Honda’s Hybrid vehicles - Insight and Civic Hybrid cars, which employ a small gasoline engine coupled with a high output electric motor to reduce emissions and provide excellent fuel efficiency. Honda’s two cars will be at every concert in conjunction with the Green Highway exhibits. In addition, some of the Green Highway tour vehicles will run on B20, a biodiesel fuel that is made from fat or vegetable oil (usually soy) and offers a cleaner-burning alternative to standard diesel. "I think it's wonderful that Bonnie Raitt is leading by example using a farm-grown fuel that decreases emissions and dependence on foreign oil," said Bob Metz, president of the National Biodiesel Board and a South Dakota soybean farmer. "Biodiesel is beginning to enjoy commercial success as one of the fastest growing alternative fuels available." "The presence of these companies and their products means they endorse our basic principle of ecological harmony, and our belief in the timeless Quaker philosophy---that you can do good at the same time you are doing well," Raitt says of the tour’s sponsors, which in addition to Green Mountain Energy Company, Honda Hybrid Cars and the National BioDiesel Board include Marvin Windows and Doors, ShoreBank Pacific’s Eco-Deposits, BP Solar, American Wind Energy Association, Guayaki Yerba Mate Tea, Aloha Bay 'Petroleum-free' Candle Company, and American Solar Energy Society. "Their presence does not imply a blanket endorsement by us, simply that they adhere to the core principle of the Green Highway, that our economic life must run in harmony with the sanctity of the natural environment." Bonnie Raitt is as well-known for her commitment to social activism as she is for her music. She has been involved with the environmental movement since the mid-1970’s and was a founding member of MUSE (Musicians United for Safe Energy), which produced the historic 1979 NO NUKES concerts at Madison Square Garden which resulted in a platinum selling triple album, and the feature-length movie directed by Academy Award-winner Barbara Kopple. Raitt has been especially active in the fight to preserve ancient forests, performing numerous benefit concerts, lobbying in Washington and twice committing civil disobedience in support of ecologically sound government and corporate policies. With three decades of recording and touring under her belt, multi-Platinum selling Rock and Roll Hall of Fame inductee Bonnie Raitt is clearly in her prime. Silver Lining, her 16th and most recent album, was produced by Raitt, Mitchell Froom and Tchad Blake. It has been hailed by critics as one of the best albums of her career and has been certified Gold by the R.I.A.A. for sales of more than 500,000 copies. Her recent television appearances have included "Late Show with David Letterman," "The Today Show," "The Tonight Show with Jay Leno, " "Oprah," the "Early Show" and one of the final episodes of "The Rosie O’Donnell Show." This summer marks the third time Raitt and Lyle Lovett have toured together. Raitt took Lovett on his first national tour in 1986, shortly after the release of his debut album.